If anyone is looking to replace their Inspiron 7577 screen with a 120Hz panel, the Chi Mei N156HHE-GA1 works with full brightness control. Just replaced mine over the weekend and it's so much better than the stock LG panel. Maleko48, Quadzilla, Aivxtla and 1 other person like this. How much did it cost? 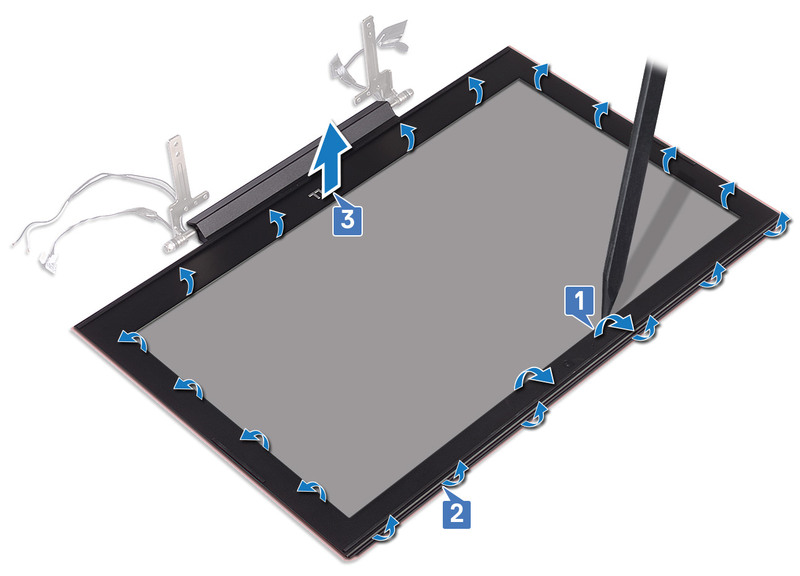 Did you need to disassembly whole laptop or only screen cover? For disassembly you only need to remove the plastic bezel around the screen. I'll go ahead and let you know that the plastic clips make awful noises when removing/reinstalling the bezel. If you replace your panel I would be sure to unplug the battery before touching any connectors. DoctorRzepa, bananam8nuk and Maleko48 like this. Hey all. Just attempted to install a standard 2.5" 9.5mm HDD in my 7577. Can confirm the 9.5mm drive is too tall, the bottom lid will not close. In order to add extra media storage, you need a thin 7mm 2.5" HDD. It will bulge less if you remove the blue foam pads but it fits as i have done it on a few 7577s and no one ever had an issue. You can remove the pads and even reuse them later if you want to put them back. This was detailed in the other main 7577 thread here on NBR a while back. It should probably come up if you search for "7mm" or "9.5mm" in that thread. The 5577 probably has a TN panel according to what you're telling us. The 7577 has an IPS panel, but color reproduction is pretty bad, they're washed out, muted. I changed the color peofile of the display, and it helped a bit, but there's a limit to what you can do. Blacks are great, viewing angles too, and brightness is not a problem at least to me. I might try swapping the panel for something better. It's a pain in the arse to be thinking about it just after receiving the laptop, but oh well. Was wondering if anyone running Linux on the 7577 had bumblebee working? If so, were there any special steps to take, eg kernel parameters or configuration changes? I have been researching for a while now the possible alternative displays that can be used to upgrade the awful stock LG WF6 panel that comes with the 7577. I have just installed a Samsung LT156HL02-002 panel and can confirm that it works flawlessly. Just to note that the backlight controls continue to work as expected with this particular panel and it is indeed plug and play. It seems that this is not a very well documented panel online and requires some digging to get the correct specs. I am unsure if there is a matte variant of this panel, the HL02-002 is definitely a glossy panel unless specified. To my knowledge this panel has been used only in higher end workstation machines but cannot be sure. 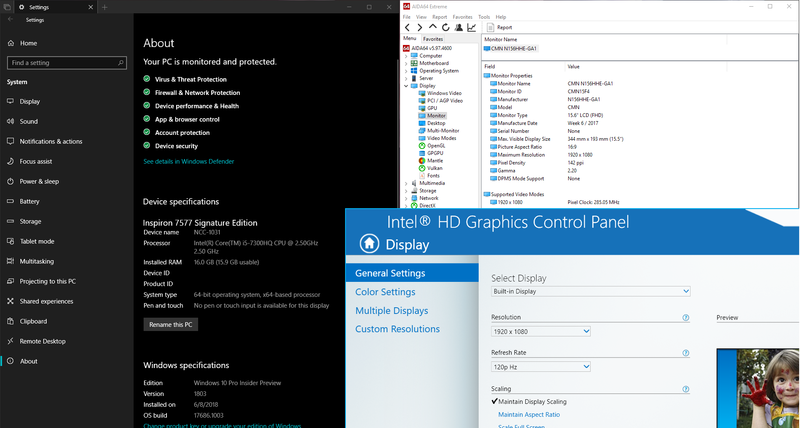 The closest evidence from an online source of even a similar panel being used is in the MSI PE60-2QEi581, this is the link to the display review of the HL02-002's cousin, the HL01 (https://www.notebookcheck.net/MSI-PE60-2QE-Prestige-Notebook-Review.145525.0.html) This gives you a rough idea of panel quality. I haven't had a chance to check response times, but it doesn't seem any worse/better than the stock LP156WF6-SP-M3 I have switched from. Please let me know if there is any way I can help fellow 7577 owners. I have done the thermal paste/underclocking stuff and done a few upgrades/mods myself (explains why I saw the original post!). I have great faith in this machine!